Carlo Ginzburg is an Italian historian who comes from a distinguished Italian literary and political family. His father was Leone Ginzburg (1909-1944) and his mother was Natalia Levi Ginzburg (1916-1991). He attended one of Italy's most prestigious secondary schools before receiving a Ph.D. from the University of Pisa. He became known as an innovative historian with the publication of his book Night Battles. After teaching in Italian universities, he came to the USA in 1973 to serve as a visiting professor. He was appointed Franklin D. Murphy Professor of Italian Renaissance Studies at UCLA in 1988. He was instrumental persuading the Vatican to open its archives on the Inquisition to scholars and researchers. 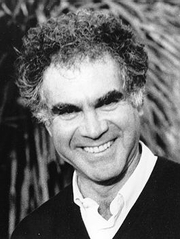 Carlo Ginzburg is currently considered a "single author." If one or more works are by a distinct, homonymous authors, go ahead and split the author. Carlo Ginzburg is composed of 10 names. You can examine and separate out names.